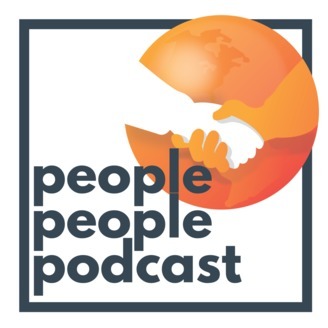 Long-form conversations about real human connection... We are people, people!!! Let’s act like it! Let’s tap into our human instincts as social animals to reconnect with each other, to organize with each other, and to replenish the world with the best of what we as humans have to offer. We are people people. We aren’t just nice... we understand that the world we dream of is built from our choices... our intentional social choices to shake hands, to have great conversations, to build purpose-filled relationships, to collaborate and to organize together. We choose to be Socially Excellent. We choose to matter deeply to the world through the people around us. We choose to engage fully with the magnificence of everyone we encounter. We choose to reconnect a disconnected world. We are people, people. Let’s act like it! 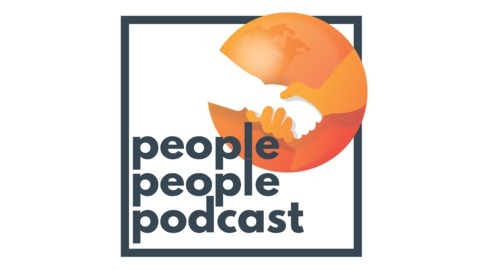 The PEOPLE PEOPLE PODCAST is a production of The Social Excellence Project. So, no kidding, here’s the story of this episode. When I was still just imagining what this podcast could be, I ordered a bunch of equipment. Microphones, pop filters, etc. When my portable lapel mics came in the mail, I opened up the package, plugged them into my phone, and went looking for someone to test them on. And no kidding, my oldest daughter was in her room, sitting on the floor, reading Social Excellence: We Dare You. I sat down and started recording. I honestly didn’t think I’d ever use it. It was the first “interview” I had done. But after listening to it (and I might be a little biased), I thought it was podcast gold! Try to see the world through a kid’s eyes. Try to imagine their point of view. Remember the simplicity of friendship as a kid, and how it started to get complicated in late elementary school, middle school, and high school. I hope you find some simple and meaningful lessons in this episode. It also includes an audio excerpt from the TEDx talk I did a couple of years ago that features a story about my kid. Thanks for listening to this special bonus daddy-daughter episode of The People People Podcast!